The Singing Accountant has put away his spread-sheets and calculator once more to step up to the mic for another selection of film and TV favourites. His mellow and distinctive vocals have added a lustre of magic to a wide variety of classic film themes included on this and his previous release (SILED4441). This collection includes Disney singalongs Zip-a-Dee-Doo-Dah, The Bare Necessities and the strident TV themes The Love Boat and Avenues And Alleyways. 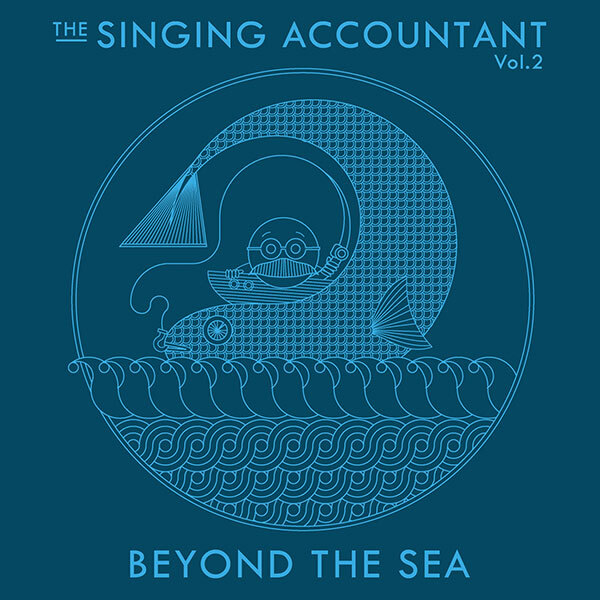 Nine tracks sung with passion and power all neatly adding up to his final statement – Beyond The Sea (La Mer). Also see ‘Rainbow Connection / Solitary Man’ for even more from the The Singing Accountant!